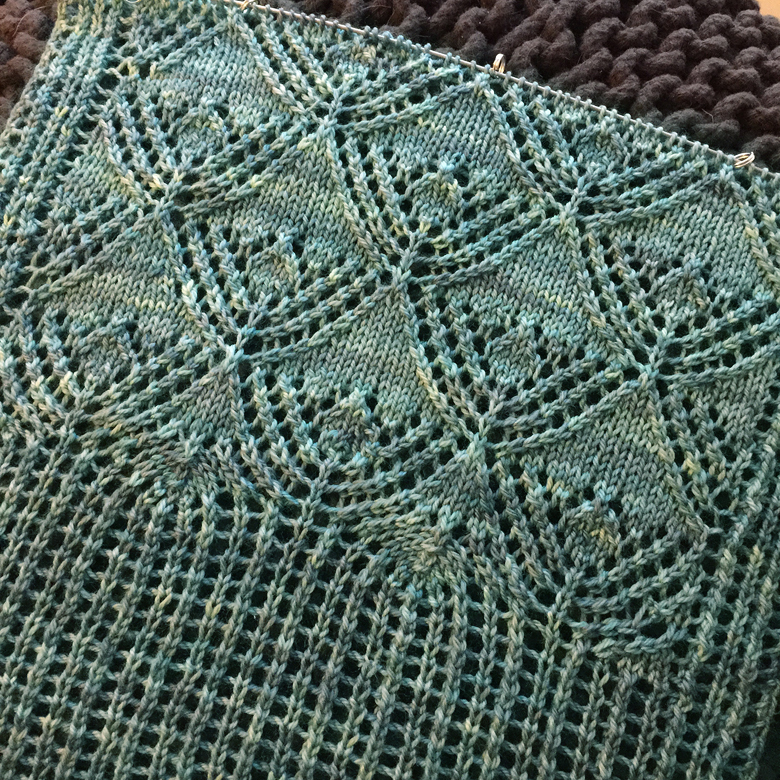 This is the test knit for my as-yet-unnamed new pattern – a light and lacy oversized shawl, perfect knitting for someone who’s dreaming of summer. The shawl will take up one generously sized skein of Tanis Fiber Arts Pink Label (and if you follow the link you’ll get a sneak preview of the colour I plan to work up the sample in!). It will make perfect winter knitting for me, and come summer it will be the perfect protect-your-shoulders, stuff-in-your-purse, light-as-air wrap. I’m stoked! This swatch is just lovely! I’m a lace lover and this hits all the right notes. Please Shireen, when do we get a peak at the FO??? Thanks Daryl! I’m waiting for the right yarn to arrive, but in the meantime I’m continuing my test knit as quickly as I can on sock yarn :) I’ll definitely be posting pics!